While I've got quite a few photos of New Britain during the era, they are almost all black and white. There are a few published photos in color, but none of the station area itself. 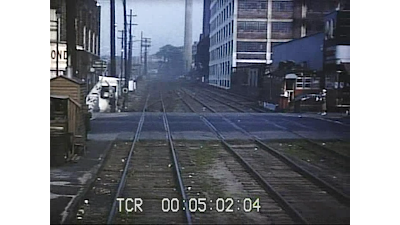 I know that the station area and yard were ballasted with cinders. Even in the B&W photos it's evident that the mainline is ballasted the same way as the rest of the tracks. So I've experimented a bit with how I want to ballast the line using cinders of course. 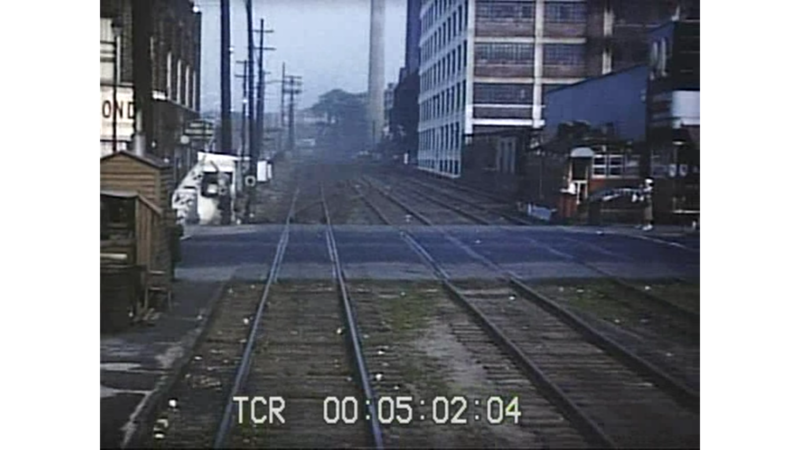 So, here's a still taken from a video Kent Cochrane took in June of 1953, the tail end of my modeling era. This is looking west at Main Street. Surprise, surprise! It's more dirt and weeds than cinders at this point. And a rather pale dirt at that. In addition, the railroad ties are more brownish, rather than the silvery gray I expected. Also, note the crossing gate shanty on the left. I had suspicions that there was one there, but no confirmation yet. Also, it would appear that all of the crossing shanties and towers in New Britain were that same brown color. On another portion of the video is a shanty that's painted what looks to be a Hunter Green. So, I'm not happy with the scenicking materials I have on hand for this new development, but it will definitely alter the appearance of the layout significantly.